Visit the UC Electrical and Computer Engineering Labs with your Y12/13 students with interactive demos and hands-on experiment. It usually happens at the end of Term 2 (school calendar) and during University mid-year break. 2019 visits will take place between 1 and 5 July. 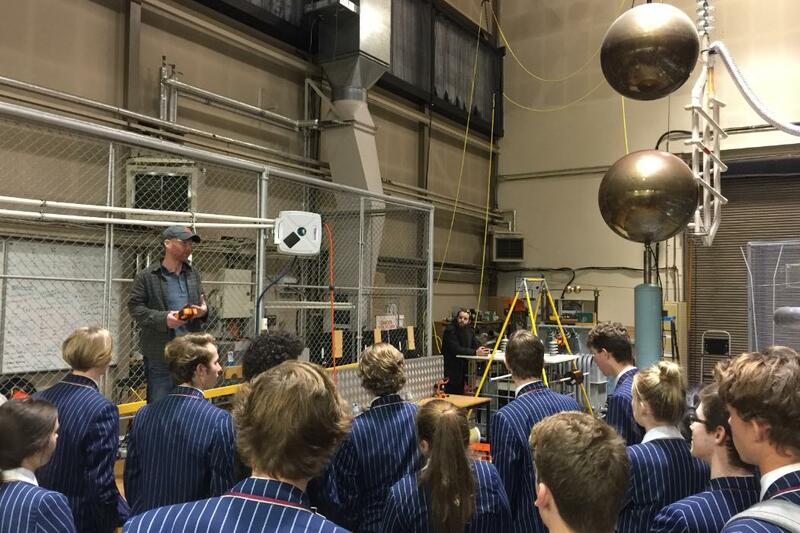 In 2018, around 200 Year 12 and 13 students from five schools had the opportunity to tour UC’s Electrical and Computer Engineering facilities in July, helping to inform their physics studies. The students visited four laboratories (Nano, Electronics, Machines and Power Research) to learn - from our expert academics and technicians - about microfluidic devices, tesla coil, go cart and solar panels (from final year projects), EV cars, induction and magnetic levitating motors. They took part in a code cracker race, with a prize for the winner, using an oscilloscope to read signals, translating them into a puzzle and then find a word. 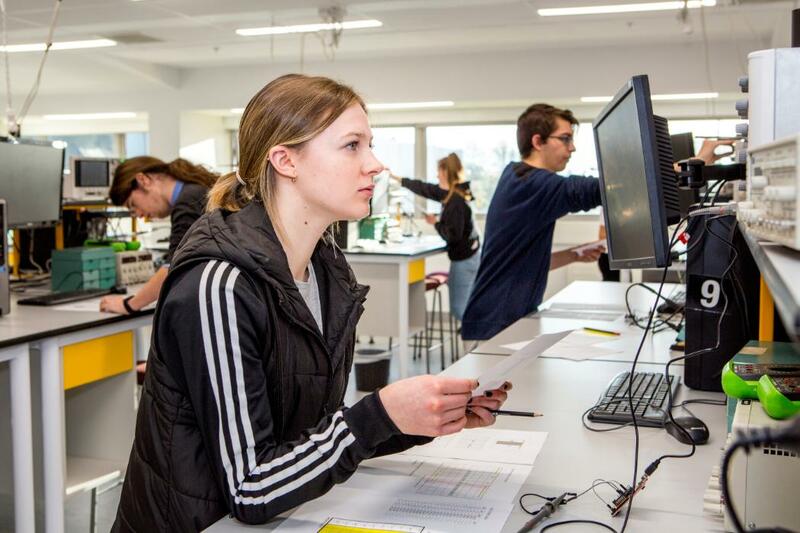 In 2017, UC’s Department of Electrical and Computer Engineering (ECE) and the Electric Power Engineering Centre (EPECentre) welcomed more than 500 mainly year 13 Physics students into their brand new labs in June. understood the fundamental risks and mitigation methods of high voltage electricity by experiencing 15,000 V lightning arc drawings and the Faraday Cage.